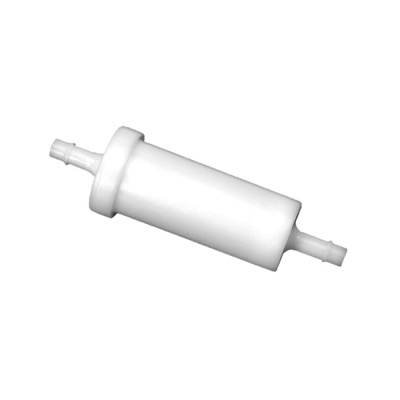 In‑line fuel filter used with 1/4 in. ID fuel line. Located under the cowling, on the outboard engine. Found in use with 1/4" hose. Mainly used with the 8/9.9/15 hp. FourStroke outboard (323cc, USA‑0T003862‑1B727495). Used on other Mercury / Mariner engines up to and including V-6 2-Stroke. Also fits Yamaha outboards with 1/4" fuel lines, replaces 65W-24251-10-00. To check the application of this part for your engine, please contact us with your engine model and serial number details.